An intelligence service official is accused of playing both sides of the field in regard to security at a nuclear firm. The Finnish Security Intelligence Service (Supo) has suspended a detective suspected of official misconduct. He was detained on Monday and his premises searched. Alongside his work for Supo, he moonlighted for a company that sold security services to nuclear power firm Fennovoima. Meanwhile in his position at Supo, he was responsible for inspecting Fennovoima's security practices. According to Supo, it is clear that a civil servant may not carry on any side business related to his or her official position. "The Security Intelligence Service's operations are based on trust, and there is zero tolerance for any kind of malfeasance," Supo Director Antti Pelttari said in a statement on Tuesday morning. The suspect's official duties included carrying out security inspections at companies. He was simultaneously involved in a security firm that sold services to the same companies. Supo received a tip-off about the potential conflict of interest last autumn. "As soon as we received information about the matter, we passed it on to the Prosecutor General's office for investigation. We are providing our full support to the investigation, Pelttari said. The suspect did not have a permit to carry on ancillary activities outside Supo. The Prosecutor General's office is responsible for probing any allegations of wrongdoing by police officials. According to the office, the detective was carrying out a security evaluation of the nuclear power company Fennovoima at the request of the Radiation and Nuclear Safety Authority (Stuk). The company hopes to build a nuclear plant on the Hanhikivi peninsula in Pyhäjoki on Finland's upper west coast with Russian state-owned utility Rosatom. The long-delayed project has not been granted a construction permit. Supo is responsible for conducting security inspections at Finnish firms that work in partnership with official agencies, in this case Stuk. Such firms handle classified official information. As Finnish enterprises involved in international ventures may have access to such classified data, Supo carries out inspections of these companies' data security procedures and background checks on its management figures, among other measures. 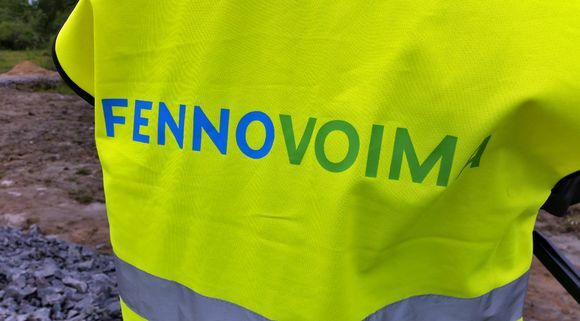 "Fennovoima has this Hanhikivi 1 project underway, and in connection with that we, as the supervisory authority, are given confidential, classified information regarding safety systems," explained Stuk Director General Petteri Tiippana. The nuclear watchdog has repeatedly criticised Fennovoima for failing to correct shortcomings in its safety culture, which is says "does not fulfill Finnish expectations".